Airstream panel sealing with Parbond™ Page. This page has a video on how to use Parbond sealer to seal an Airstream. 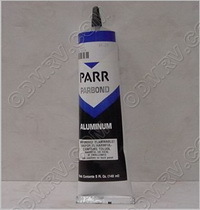 Click here to see Aluminum Parbond in our store. Click here to see Clear Parbond in our store.